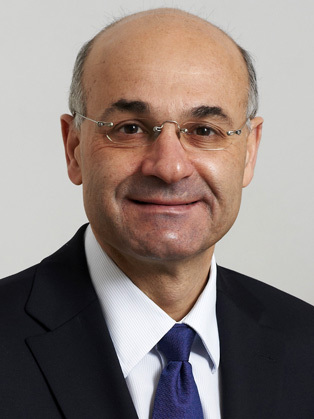 Professor Costas Markides is one of the leading business and strategy speakers in the world today. He is a professor of Strategic and International Management and holds the Robert P. Bauman Chair of Strategic Leadership at the London Business School. He received his BA and MA in Economics from Boston University, and his MBA and DBA from the Harvard Business School. He is the Associate Editor of the European Management Journal and is on the Editorial Board of the Strategic Management Journal, the Academy of Management Journal, the Journal of Management and Governance, and the Sloan Management Review. He was a Fellow of the World Economic Forum in Davos, Switzerland during 1999-2003. His current research interests include the management of diversified firms and the use of innovation and creativity to achieve strategic breakthroughs. He has taught on many in-company programmes for companies such as Unilever, Boeing, Pirelli, Honeywell, Nestle, ABF, Warner Lambert, LVMH, and Sara Lee. His main research interests are corporate entrepreneurship, corporate strategy and disruptive innovation. Professor Markides has published widely, writing on topics of strategic innovation, corporate restructuring, refocusing and international acquisitions. His most recent book (with Paul Geroski) is Fast second: How Smart Companies Bypass Radical Innovation to Enter and Dominate New Markets. Costas Markides is a lively speaker who illustrates his talks with engaging stories and examples. He tackles subjects from, how to avoid financial crises to why many organisations seem to discourage change.